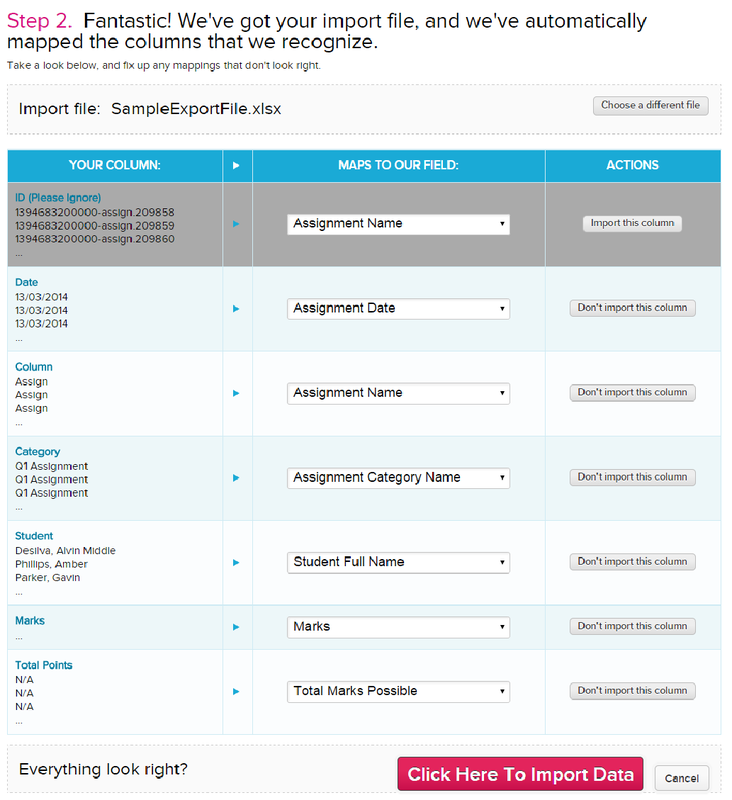 We’re happy to announce that we now have the ability to directly import data to your QuickSchools Gradebook via Excel. This feature is still in beta, so please feel free to request for it via email, and we can turn it on for you. We’re still working through some kinks, but please do share your thoughts and comments with us. As part of Sprint D15, the Gradebook Importer now supports a Student Number column (optional in place of student number), as well as an optional “Is Final Grade” column.